With all of the lifestyle changes you have to adjust to when moving to a new town, it can be easy to overlook something like auto maintenance and repair. If your vehicle isn’t notorious for having issues or needing work, it’s hard to take the time to look for a place before making the move. However, it can be much easier than you’d expect to find a dependable and quality auto repair shop in your new town. Here are some of the easiest ways to find a worthwhile repair shop. Consult the Internet- As easy as it sounds, the Internet has become an extremely viable place for reliable reviews and opinions for just about anything. Searching for local businesses with dozens of high ratings from users is a great way to begin narrowing your search down and making a list of trustworthy and respected repair shops. Social media is also a great way to get first hand and more reliable to you as friends and acquaintances can offer a trustworthy opinion from firsthand experience. Also a bonus of using the Internet; most certification companies like ASE and BOSCH offer websites dedicated to finding certified centers close to you, making the search even easier for you. Ask Around Town- Word of mouth is still one of the most tried and true methods for finding new things, visits to automotive stores and conversations with customers and employees there is an easy way to get other’s opinions on where to go and where to avoid. Check Various Stores- Good, reputable mechanics will oftentimes go out of their way to display their various certifications and achievements. Whether it’s ASE or BOSCH certifications or vehicle make specific like BMW or Audi specialists, you should be able to prominently spot the certifications from either the window or when you first walk inside. 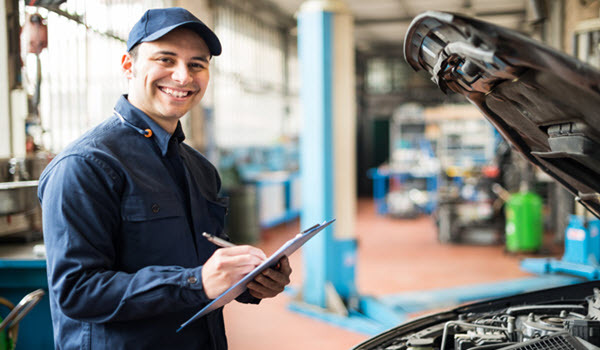 Unfortunately, not every auto repair shop can be deemed trustworthy so it’s also important to know what to avoid when looking for places to bring your vehicle. There are many telltale signs that a mechanic is looking to take advantage of you and here are some of the most common. Poor Reviews- Now this can’t be the only sign you use to form an opinion because there’s always a chance that somebody’s bad experience has been greatly exaggerated but multiple negative reviews is a warning sign to avoid a place either due to high prices or less than quality work. Shop Cleanliness- To most businesses, maintaining a clean and presentable workplace is a point of pride. 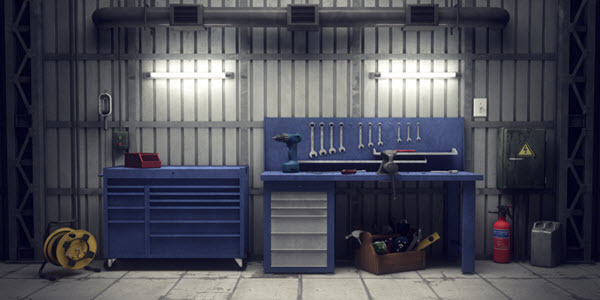 When a shop has oil and other fluids spilled on floors and surfaces or spare parts and tools laying everywhere, it reflects a lack of interest in the mechanics in presentation. Unnecessary Add-Ons- If you’re looking to get a quote for work on your vehicle, it should be relatively easy to compare from shop to shop but if your car is being inspected and the mechanic begins suggesting things like “brake fluid flushing and changing” then there’s a good chance that they’re just looking to tack extra charges and work onto whatever you may actually need. High Turnover of Mechanics- This can be a bit tougher to discover but when a shop has a high volume of mechanics working and leaving for it in short periods of time, it’s inherently more unreliable because the mechanics just don’t have the same opportunities for experience that longer tenured mechanics can offer. This is also a signifier of an unstable management hierarchy and it’s likely best to avoid those shops altogether. With such advancements in technology and social media, it’s easier than ever to find information online and to find a quality auto repair shop that you can trust. However, taking various signs into consideration will help keep you even more prepared to find an auto repair shop that you can trust in your new town. Just because there are hundreds of things to consider when moving to a new location doesn’t mean that your vehicle has to suffer as well. So once you’re settled in and in need of maintenance for your vehicle, finding a new and trustworthy mechanic should be the easiest part of the move.